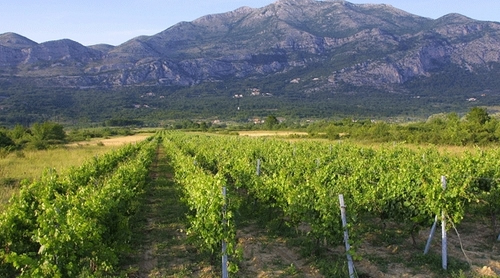 Dalmatia, indeed Croatia in general, has an extraordinarily diverse range of wine grapes, many of which are unknown outside the country, while others may be known by a different name. Some are easy to pronounce, others… not so much! Plavac Mali is a relative of Zinfandel in California, and Primitivo in Italy, so is really quite familiar. We’re generally comfortable that we know what a glass of Plavac will taste like. However, growing this Dalmatian native in its own, frankly marginal terrain can give very different results depending on the the soil, environment, heat, sea, rocks, etc, etc. 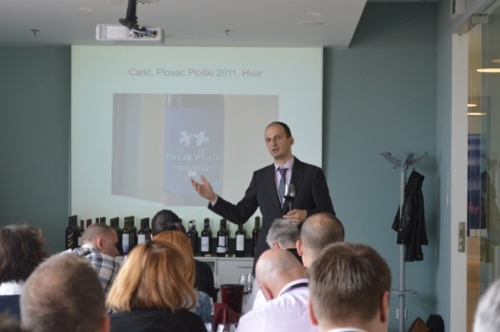 With that in mind, we joined a seminar at the recent Dalmatian Wine Expo – a guided tasting by Croatian wine authority, Saša Spiranec of some of the best Plavac wines from the prestigious locations throughout Dalmatia, to assess the quality, style and aging potential. 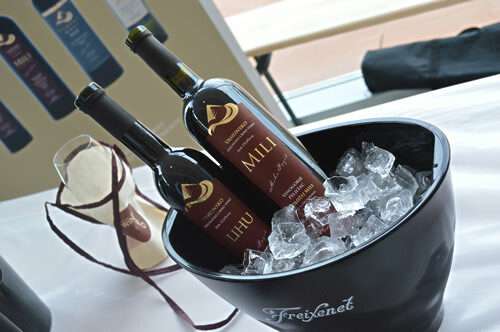 Plavac Mali tasting – where the wines came from. 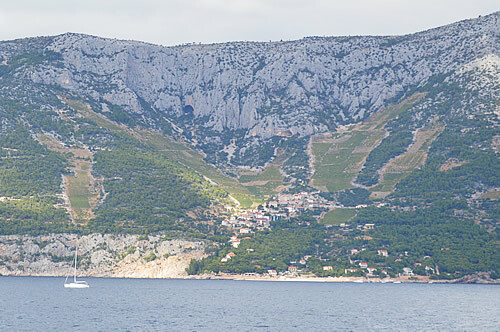 The prime growing areas for Plavac, ie those producing the best quality wine tend to be steep mountain slopes facing south or south-east, overlooking the sea. Critically, they’re protected from that freezing north-east wind, the bura. 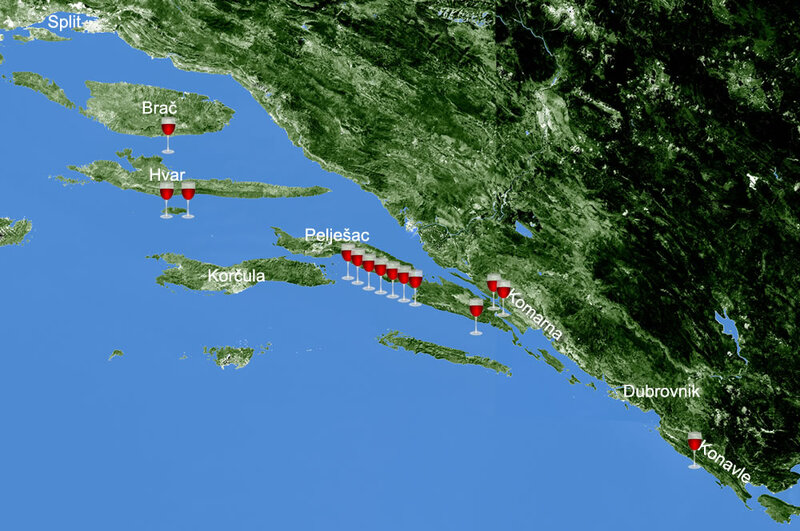 I’ve tried to show on the map where each of today’s wineries are located, and you can see just how many are on the Pelješac peninsula, especially around the slopes of Dingač / Postup. But look, two of the wineries are on Hvar! 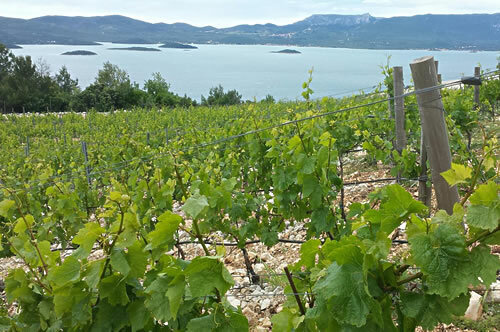 The Ivan Dolac / Sv Nedjelja vineyards produce Hvar’s best Plavac. Now let’s see how they all stack up. Sadly, I can’t provide media links for the aromas and tastes, so I’ll just have to describe that for you. The points awarded are from Saša Spiranec’s follow-up article for Dobra Hrana (Good Food). According to him, the quality of plavac wines has never been better, and any of these 14 have the potential to become gold medal winners. Note the producers and try these wines if you ever have a chance! From the Komarna wine hills – Croatia’s newest wine-growing area (April 2013), with vines only planted in 2008. 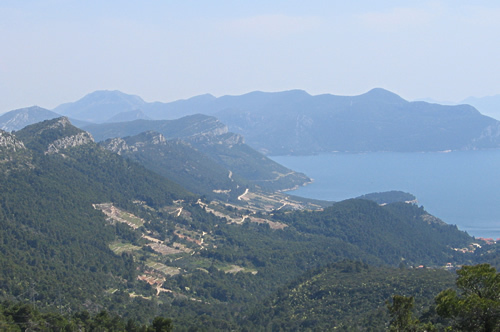 Tucked into the coastline opposite Peljesac, the vineyards are south-west facing, ranging in altitude from 250 metres right down to sea-level. 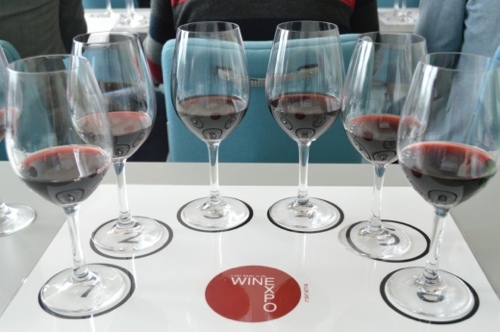 Of the seven wineries with vineyards here, only four currently have wines on the market – and here we get to taste two of them! From Konavle – moving down the coast to our next winery, which is to the south of Dubrovnik. 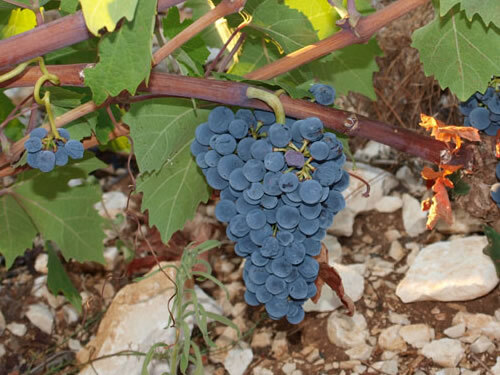 Konavle is known for its agriculture, but not always for great Plavac wine – but here’s one of them! Heading north again, here we have two wines from Hvar’s south beaches – the steep vineyards above Ivan Dolac and Sveta Nedjelja where some of my favourite wines are grown! Moving one island to the north, on Brač, the south-facing wine terraces have recently been revived, and this area has the potential to produce some excellent Plavac. Now we move on to Pelješac… the most famous growing area for Plavac.